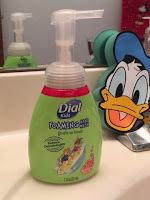 Disclosure: I received a sample of Dial Baby Body + Hair Wash and Dial Kids Foaming Hand Wash in exchange for a review. All opinions expressed are my own. Have you seen the two new products for kids from Dial? 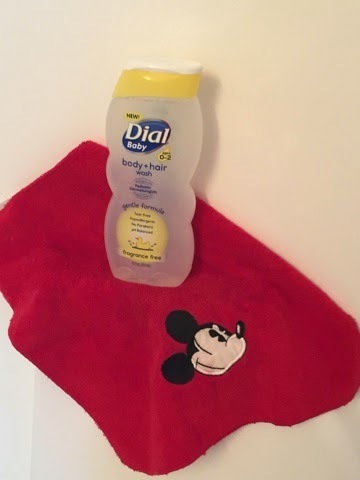 There's Dial Baby Body + Hair Wash and Dial Kids Foaming Hand Wash. Even though my "baby" is 8, she liked the gentle baby body wash for her. It's mild enough that anyone can use it, no matter what their age. I really love the light scent and how nicely it foams up. Our favorite of the two products is the Dial Kids Foaming Hand Wash. We love the foam, the smell, and mom especially loves the clean hands leaving the bathroom. I have found that they are more likely to wash their hands and wash them well if there's a foaming hand soap. The selection from Dial for babies and kids is amazing and fun and makes kids want to get (and hopefully stay) clean. I can't wait for one of my readers to have the opportunity to try one of these products for free, so I'm holding a GIVEAWAY! One winner will receive a coupon for their choice of a free baby body/hair wash or a free kids foaming hand soap. Enter using the Giveaway Tools form below. Winner must live in the US. 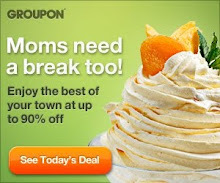 Ends Sunday 5/17 at 11:59 pm Central Time. I would like to try the coconut lime verbena soap. I would love to try the Papaya & Pineapple EXFOLIATING BODY WASH. Sounds so yummy!